FAIRFIELD, CT - Sacred Heart University and NLS Therapeutic Discovery will conduct a summer camp August 5-16 to introduce high school students to computer-aided drug design. 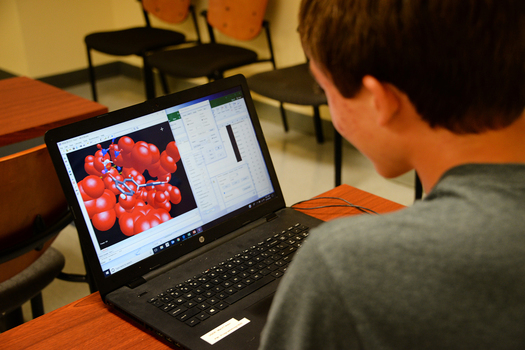 Now in its second year, the camp will teach students to use sophisticated drug-design software to aid in the discovery of new drugs. The students also will receive a high-level, pre-college introduction to the scientific, ethical, legal and business aspects of drug development. The experience will close with the creation of student posters showing research findings, which can be used at scientific conferences. Participants will acquire knowledge and skills using cutting-edge laboratory techniques and instruments, Audie said. Moreover, they will sharpen critical thinking skills through scientific investigation and will be enriched by presentations from leading industry experts. An associate professor of biochemistry at Sacred Heart, Audie holds a doctorate in biophysics and is co-founder of computational peptide drug-design company CMDBioscience, LLC. He also serves as CEO of NLS Life Science and Therapeutics Discovery, LLC. Joining Audie for the camp will be two other members of Sacred Heart’s science faculty: Todd J. Sullivan, a lecturer who holds a doctorate in medicinal chemistry, and Benjamin Alper, an assistant professor of chemistry who has a doctorate in biochemistry and molecular biology. These three will work directly with the students as both teachers and guides. Students who successfully finish the program will receive formal certificates of completion.